ESTE PRIMER VOLUMEN ESTÁ DEDICADO A ENSEÑAR A DIBUJAR EN EL POPULAR ESTILO SHOUJO, PUESTO DE MODA POR MANGAS COMO “NANA” O “RELOJ DE ARENA”. DESDE CUÁLES SON LAS PROPORCIONES BÁSICAS DEL CUERPO HASTA LA MEJOR FORMA DE AÑADIR DETALLES A TU DIBUJO Y ELEGIR SU VESTUARIO Y COMPLEMENTOS… TODO CONTADO CON CLARIDAD EN SENCILLAS GUÍAS PASO A PASO QUE ENSEÑAN A DIBUJAR CON EL MEJOR TOQUE SHOUJO. ¿PROBLEMAS PARA DIBUJAR ALEGRES COLEGIALAS? ¿QUIERES CONOCER LOS TRUCOS PARA DIBUJAR A UN CHICO GUAPO? 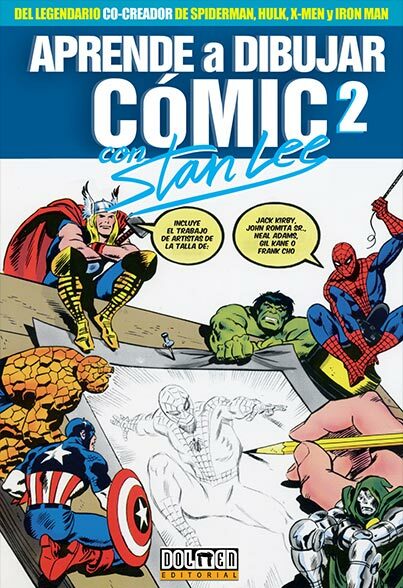 ¿DESEAS SABER CUÁL ES LA MEJOR MANERA DE HACER TU PROPIO CÓMIC? DEJA UN MOMENTO EL LÁPIZ Y PONTE A LEER ESTAS MAGNÍFICAS LECCIONES QUE TE ENSEÑARÁN TODOS LOS TRUCOS QUE DESEAS SABER.